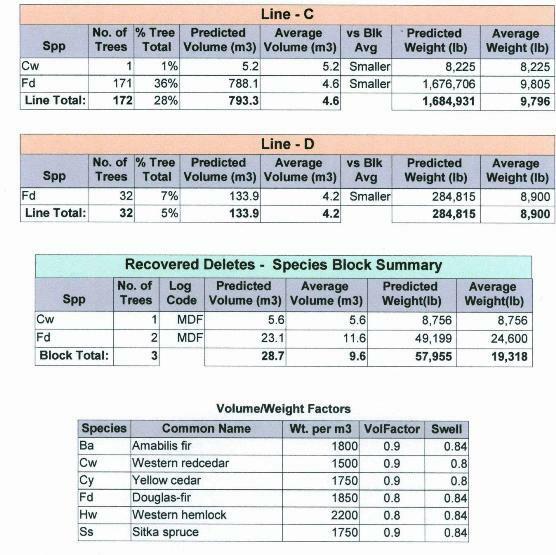 SCSS has developed a comprehensive tree data analysis program that tracks volume, weight and values of all trees marked for harvest. 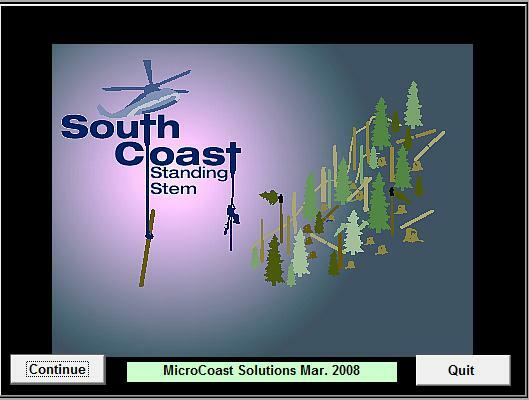 This program can let customers know how much volume is in any one setting as well as the values of the trees. 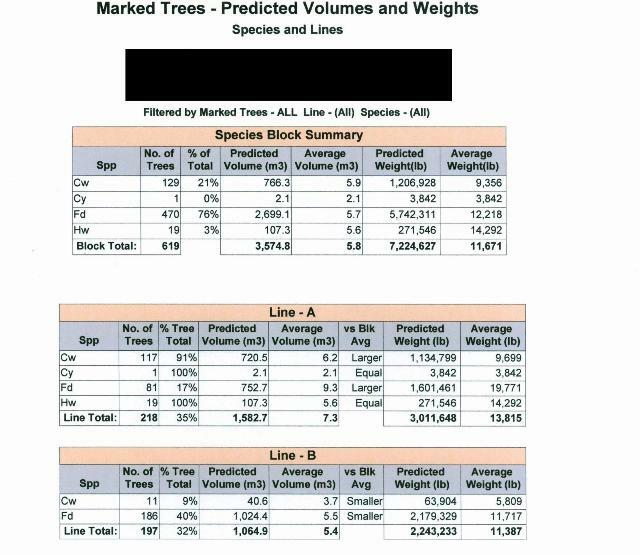 This information can prove valuable as it allows customers to have estimated values of settings and trees marked for standing stem harvest in order to assure profitability before harvesting begins. 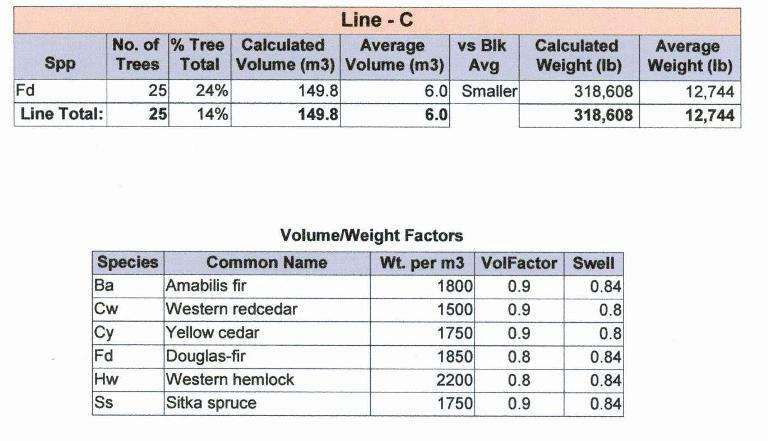 SCSS also records diameters and lengths of every tree prepared for harvest so we can provide customers with finished values and volumes as well as weights for the helicopter. 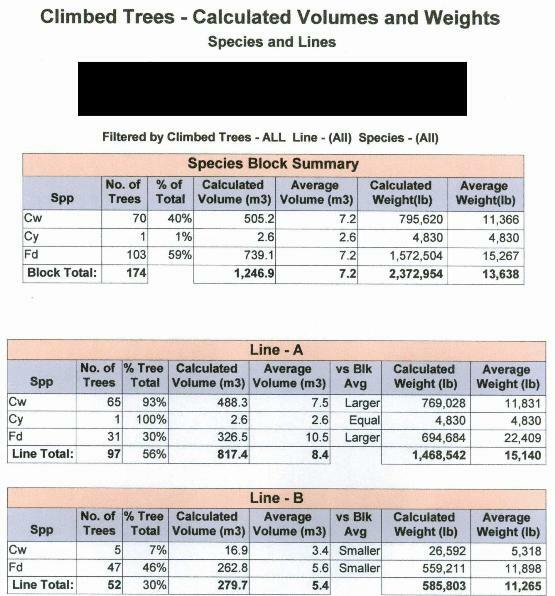 The estimated volumes are based on a 100,000 tree history and is constantly updated to keep our estimates as close as possible to the finished product. This program is usually within 7% estimated to actual, species dependent and is a great planning tool. The program also allows helicopters to bid accurately and efficiently with sound finished product data. We can provide many different reports, below are a couple of screenshots of some data.